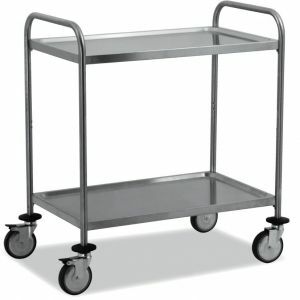 AISI 304 stainless steel Technical trolley with 2 tiers. disassembled version. Trolley with stainless steel tube structure, diam. 25 mm. Drawn stainless steel tiers scotch-brite finishing, prefectly rounded and noise-proof tiers Eight retractable bolts are studied for fixing the tiers in order to guarantee the perfect stability of the structure. Rubber bumpers on the edges, swivelling castors diam. 125 mm, 2 of them with brakes. 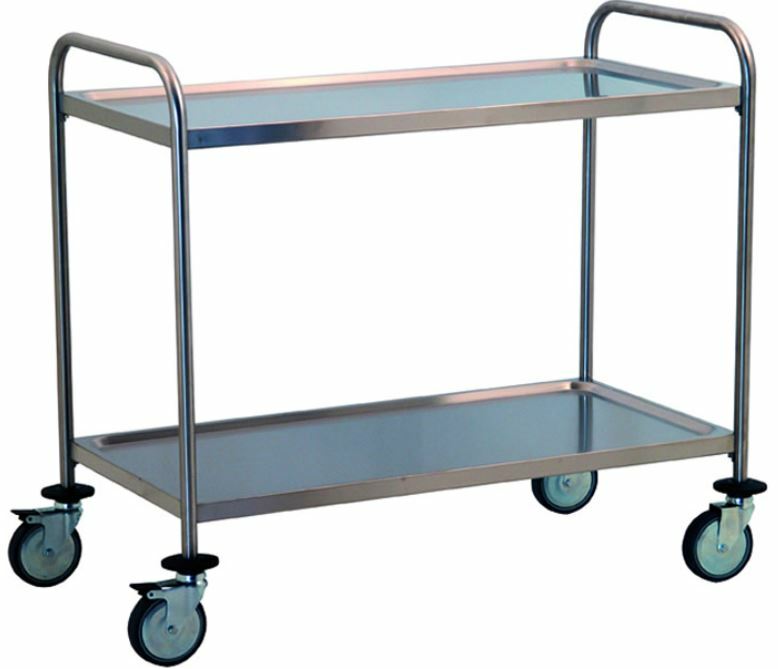 Load capacity: 80 Kg.